55 Football Nations met Gothenburg Post journalist, Fredrik Tillberg, to talk usual man things … football, beer, rock music and a wild match prediction. Translation courtesy of Google Översätt. He will see football in all 55 UEFA countries in a year. On Monday, Matt Walker, 40, is in Bravida Arena to see Häcken-Hammarby. “I hope for many goals,” he says Matt Walker’s next ten months will include many travel hours, many nights at hotels, a lot of beer and many football matches. The Englishman aims to be the first to experience the first ever football in all of the 55 UEFA membership countries. – I love to travel and I love football. And I wanted to take a break from my usual life to do something different, he says. He works part-time as a photographer and has the camera as a travel company. 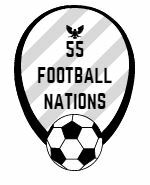 The travel stories and the pictures will be put together into a book: “55 football nations”. “I did not just want to spend a year on a beach in Indonesia, but I wanted to take an exciting project to test myself. It will be a cool story to tell people. – No. I live in as cheap hotels as possible and try to live near the match arena in every city, in this case at Hisingen. I have a budget for each country but do not want to say how much the project costs. It’s worth it, so much I can say. He started his trip in Georgia a month ago, and has also declined Iceland, Faroe Islands and Norway. After the Bergen visit, he was cheated by the Swedish game break and went home to London for two weeks, but now he is back on his way. So why did Gothenburg and BK Häcken become? “I have good experiences of small towns and smaller clubs, it usually becomes a more friendly atmosphere. Gothenburg is not small but it is smaller than Stockholm. And it was compelled to be this week, so it really was due to which of the two Göteborgs teams that played at home this past weekend, “said Matt Walker. He has already met a bunch of Häcken supporters and is careful to recognize the local supporter atmosphere a bit extra in the hours before kicking off. He looks forward to the match. “It feels like a good place to watch football, though neither Häcken nor Hammarby will win the title this year. There are more different types of atmospheres I am looking for. I really look forward to the match. Matt Walker is watching a player in Häcken’s team: striker Alhassan Kamara, who does not get into play because of his knee injury (a so-called “hopparknä”). What do you think about the match? “I think there will be few goals. After a while, teams are often a bit ruffled and sluggish. I hope I’m wrong, I hope more goals, but my tip is 1-1.